Happy (belated) Valentine’s Day, everyone! I know my blog posts have been coming more sporadically, but (despite committing to writing less about what I’m “working on”) I really have been busy working on a lot (as my Patreon supporters can attest to). Amongst those many things, and as I announced a couple of weeks ago, I’m putting together a collection of the And They Call it Mummy Love series from my web-comic, Gentleman Cthulhu (gentlemancthulhu.com). The collection is getting support solely through my Patreon page (patreon.com/jmdesantis), and is going to be sent to the printer at the end of this month. 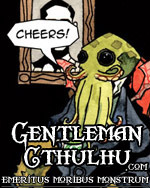 Anyone who joins my Patreon before then (at $3.00 and above) will have their name printed in the book as well as early access to that series and other Gentleman Cthulhu comics. Supporters at $5.00 and above will have the comic and the entire Mummy Love series before it publishes on gentlemancthulhu.com (the remaining comics will publish monthly until the end of Gentleman Cthulhu’s third year, in August 2018). What’s more, there are a number of other developing projects that my patrons are privy to that I’m not announcing here or elsewhere until they’re closer to completion. I’m also going to release some exclusive news about a new, forthcoming publication and some in-depth news about the whats and whys for the delays in the Chadhiyana series (of course, some information will post here and on chadhiyana.com, but my patrons will have some deeper knowledge thereof). Aside from that, I just want to remind everyone that commissions are still open, and I’m spending a lot more time on them in order to produce a better quality product for those who enjoy my original artwork. And, on that subject, I still have a number of Inktober 2017 originals available through my site’s new store: jmdesantis.com/shop/original-art/inktober-2017/. That said, there are a lot of moving parts right now behind the scenes, so please be patient. I have a lot more coming—I just can’t say what or when; though again, if you’re a patron, you’ll certainly have more information, if nothing else.